This eye-catching suite uses a combination of comfortable flat cane arms with beautifully crafted woven rattan detail. 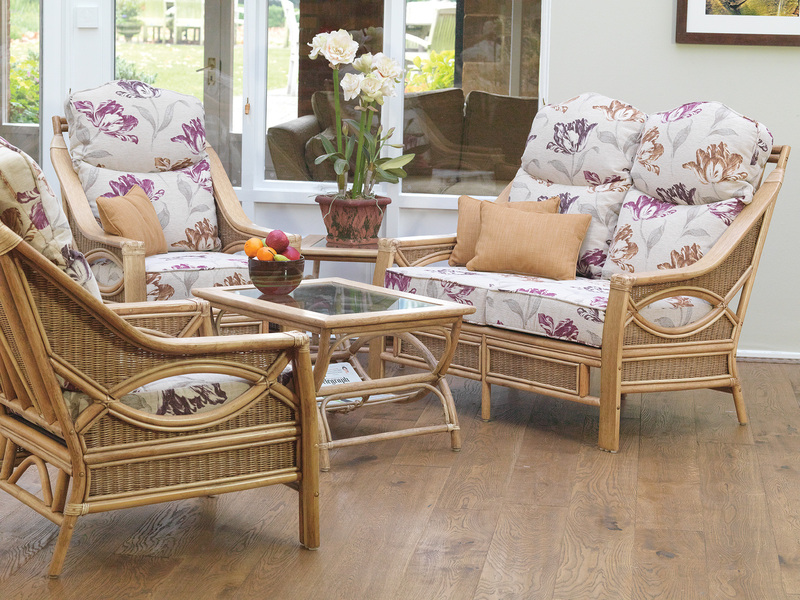 The result is a strong distinctive suite that looks great in any conservatory or home. The Natural Wash finish and subtle curved lines that it shares with the Andorra makes any combination of accessories accompany the Rochester seamlessly. Shown in Natural Wash finish with Amoris and Gold fabrics.